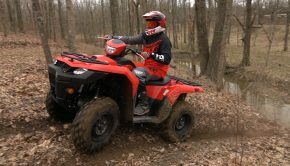 Suzuki’s two-stroke Quad Sport LT50 was around for quite a few years. Kawasaki even borrowed the model for a couple years, rebreeding it as the KFX 50. It was the nearly perfect learning machine for the smallest of ATV enthusiasts. Unfortunately, its power output was so meager, that by the time riders began mastering the very basics, they had outgrown the engine’s power. Dave and Holly Trimble wanted to get their daughter, India, into ATV racing. 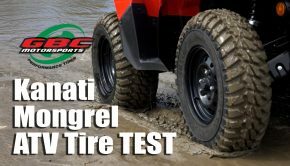 The size of the KFX50 fit her perfectly; however, the Trimbles were afraid that the little two- stroke didn’t have enough pep to pull her up the faces of some of the taller jumps at Earlywine Indoor Motocross in Maysville, KY where they race. To help his daughter get around the track, Dave installed CT Racings engine package for the LT and KFX 50 on India’s machine. He sent his head to CT for modification and it came back with a CT pipe, jet kit, and a K&N filter with Outerwear pre-filter. The most impressive looking part of the kit is the CT pipe. 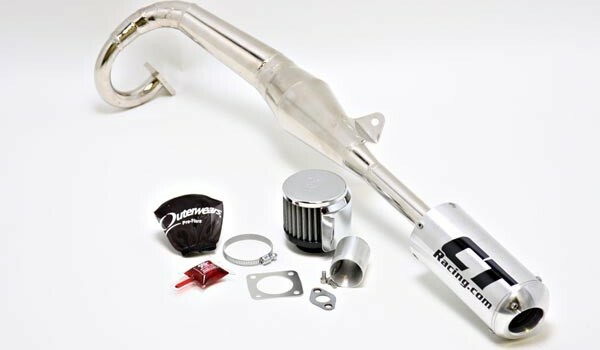 While the stock pipe looks like something off a four- stroke, the chrome finish CT exhaust features a tuned expansion chamber and a large aluminum spark arrested silencer. It’s too bad you can’t appreciate the exhaust’s appearance under the ATV’s bodywork. Installation of the entire kit took just over an hour. CT tried different clutch setups to complement the package, but found the performance of the stock clutch to work best. According to their dyno, the stock engine puts out only 1.2 horsepower, peaking out at around 3600 RPMs. With CT’s engine kit installed, the engine is said to produce 2.6 horsepower peaking around 6700RPMs, more then doubling the stock power output. With the CT motor package installed it was off to the races. The little KFX now emitted a nice two- stroke sound without being too loud or raspy. Power delivery was still very smooth and controllable, although the engine pulls stronger throughout the RPM range, revving out way further. The KFX now had the power to easily pull India around the track. Steep jump faces were easily conquered, even if she didn’t approach the jumps with much momentum. This kit would also make it much easier for the youngest rider in the family to keep up on trail rides. India had a lot of fun on her CT Racing hopped- up 50 and had the trophies to prove it. Her dad thought it looked like so much fun he hijacked the machine for the pit bike class and was surprised that it could even pull him up the jumps, as long as he kept his momentum up. For $485.95 CT’s kit greatly enhanced the engine’s performance compared to stock. Our young test rider will remain entertained much longer with this hopped micro-machine, allowing some time to grow into a larger ATV. Both factors make CT’s LT and KFX 50 engine package a must have hop-up for these micro-sized machines. Summary: For $485.95 CT’s kit greatly enhanced the engine’s performance compared to stock. Our young test rider will remain entertained much longer with this hopped micro-machine, allowing some time to grow into a larger ATV. 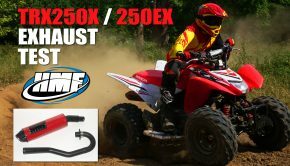 Both factors make CT’s LT and KFX 50 engine package a must have hop-up for these micro-sized machines.